Chronic bodily pain can be difficult for those who are affected by it. Widespread health concerns such as back pain and migraines lead to considerable costs in society, according to Onvista. State and health insurance providers have to counter this trend with suitable campaigns on prevention and treatment. At the same time, pharmaceutical companies need to address their clients by using specific targeting strategies. Not all pain is similar, however. People affected by pain differ among each other and prefer assorted topics and channels of communication when dealing with it. 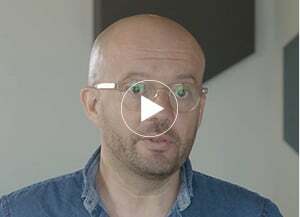 Therefore, to optimise health and marketing campaigns, organisations must identify their patients, where and how they exchange their thoughts and the topics that interest them. This information helps determine the type of campaign companies should create in order to accurately target their patients. Here's how. Much of the discussions regarding back pain are published on forums and websites. A significant difference in patient communication, however, can be identified between countries like Germany, France and the UK. 36.4 % of posts (based on overall volume) are written in forums, yet the number of forum posts in the UK and France is double compared to that in Germany. 29% of posts about back pain are published on websites, where the proportion of patient comments is significantly higher in Germany. The least relevant channels in all countries are social networks like Facebook and Twitter as well as online media and blogs. A similar pattern is identified with migraine topics. Forums and websites provide most of the information about the disorder. Here too, the amount of forum posts in the UK and France is double compared to that in Germany. Facebook, Twitter, online media and blogs are used less often to discuss migraines. 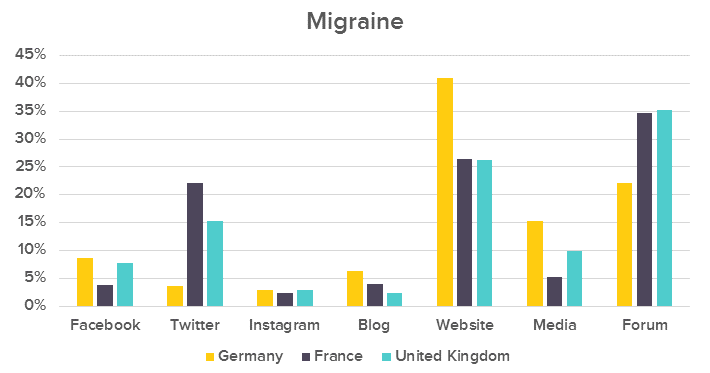 The only exception is France which has 22.15 % of migraine discussions posted on Twitter. To create targeted campaigns on back pain and migraines, and accurately target the right audience, campaigns need to be posted on forums and websites. We have identified the most significant forums and websites that help us know where to target those affected by back pain and migraines. In Germany, the majority of communication on these health issues takes place on the Gutefrage forum, followed by the Med1 Forum, Gofeminin and Jameda - a web portal where patients recommend doctors, as well as Deutschen Herzstiftung and HeilPraxisNet are the most popular websites that provide information on migraines and back pain in Germany. To implement a campaign correctly, you need to identify your target audience. If you think back pain affects the elderly only, you are mistaken. Back pain is mainly discussed by people aged 35-44, followed by 18-24 year olds. 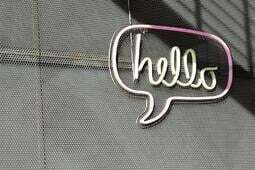 It is therefore, quite a common topic discussed amongst the younger generation. The gender ratio of those posting about back pain is balanced with. 50.25% of all posts made by men vs 49.75% by women. Migraines are even a more popular topic amongst youngsters. 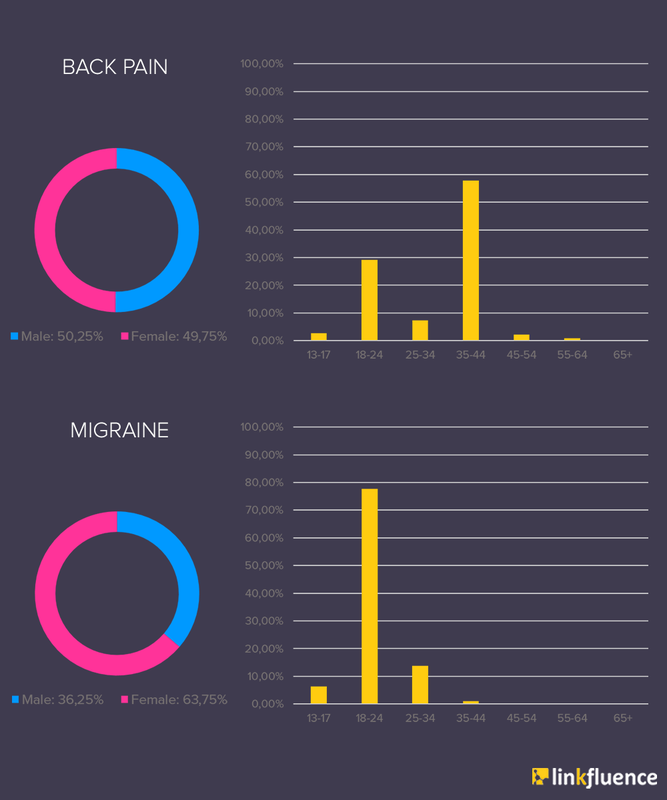 77.7% of comments about migraines are posted by 18-24-year olds, followed by those aged 25-34. There is a clear trend of women, discussing the disorder. 63.75% of all content is posted by women, mainly by those aged 18-24. It turns out that young people in particular, use the internet to exchange thoughts and information regarding back pain and migraines. Campaigns should therefore be tailored to the needs of this particular target audience. Migraines continue to be discussed mainly amongst women - an important tip to keep in mind when building campaigns. 3. Content: What type of information do people look for and where is it found? The majority of content surrounding back pain covers issues such as its potential causes and methods of treatment and prevention. It is often recommended to strengthen your back muscles through gentle fitness exercises such as Yoga or Pilates. Forums are predominantly used by those who seek back pain advice from other patients and experts. Websites mainly provide information about migraines and their cause and effects. As with topics about back pain, forums on migraines discuss treatment and prevention options. People affected by the condition either discuss it amongst each other or seek expert advice. Back pain is associated with topics such as exercise, diagnostic methods (e.g. MRI) and massages. A deeper analysis of migraine discussions reveals that they are often related to heartburn, detox, snoring and dental care. More research in this area can provide valuable data insights for future campaigns and improving communication with patients. Influencers can help distribute a marketing message, communicate it to the target audience and increase its potential of going viral. But who are the right influencers for your message and how can you find them? 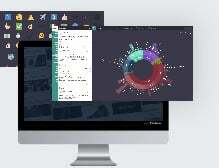 Radarly displays relevant influencers from all channels, based on different topics. You can accurately identify a suitable influencer for your message according to data such as impressions, reach and posts. A closer analysis of back pain topics reveals that the Twitter accounts of familiar newspapers and magazines like the Daily Express (estimated reach: 2.74 million) and Men's Health (estimated reach: 300,000) have a wide reach. The same goes for migraine topics. 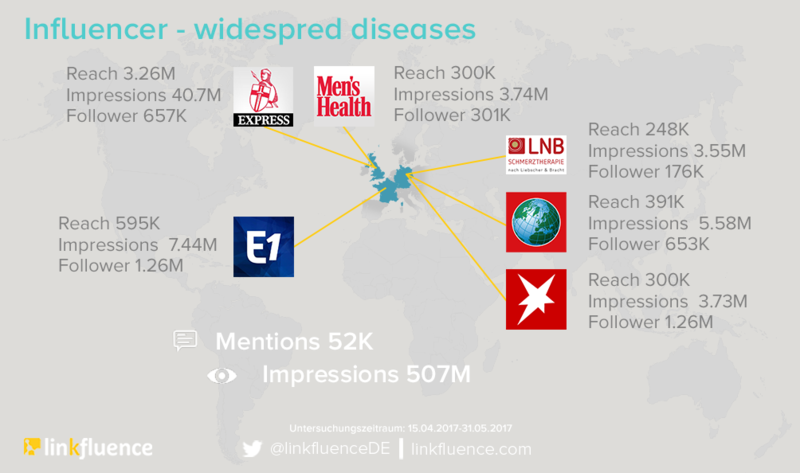 In Germany, the Facebook account of Liebscher & Bracht, a company for alternative and holistic pain therapy, with 3.37 million impressions and a reach of 236,000, is a major influencer in the back-pain field. FOCUS Online is yet another influencer which reaches 219,000 people through its Facebook account. The Twitter account of Stern magazine also covers back pain topics. 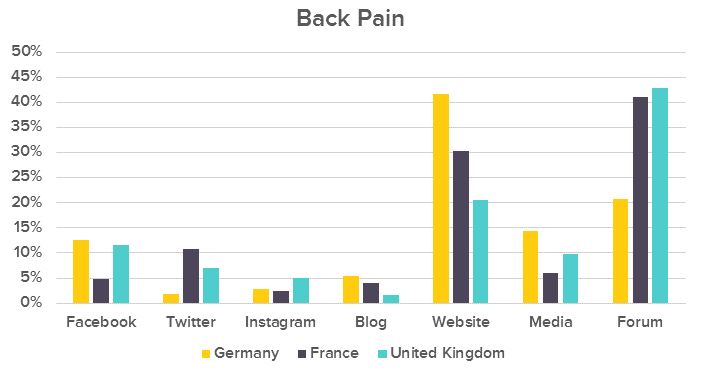 In France, a leading influencer in both back pain and migraines is Europe1, the radio channel, with an estimated reach of 397,000. It’s mainly news agencies or their associated Twitter and Facebook accounts that play a vital role in distributing information on back pain and migraines. 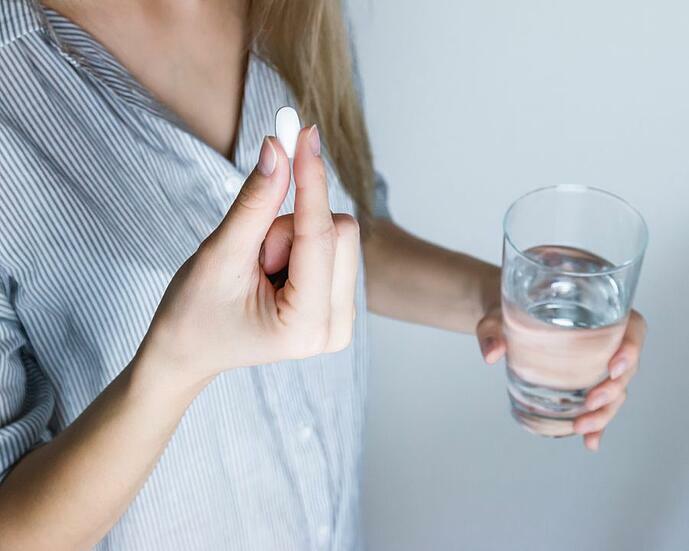 Given the risk of very high costs in the health sector, it’s important to improve marketing campaigns related to the prevention and treatment of health conditions. States, health insurance providers and pharmaceutical companies need to adopt a targeted approach when addressing those affected by a health condition. To help deal with this challenge, we have presented the most important aspects of a successful marketing campaign with the help of social data intelligence. 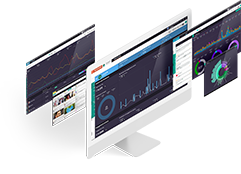 Insights generated by social media monitoring can help identify channels of communication, highlight the key demographics of target audiences and tap into engaging content. After successfully reaching the target audience through the right channels and suitable content, the last step involves identifying an influencer who can help increase the campaign’s reach and potential of going viral.